Earn $1.37 in VIP credit (137 points)What's This? Great deal on an important item that should last me for a few years. It came just in time. For the price you can't go wrong. Excellent buy! I buy these when I order other items from BTD and need to bring the cost of order up to $100 to get free shipping. Much cheaper than at the LBS when on sale. I won't buy anything other than these. 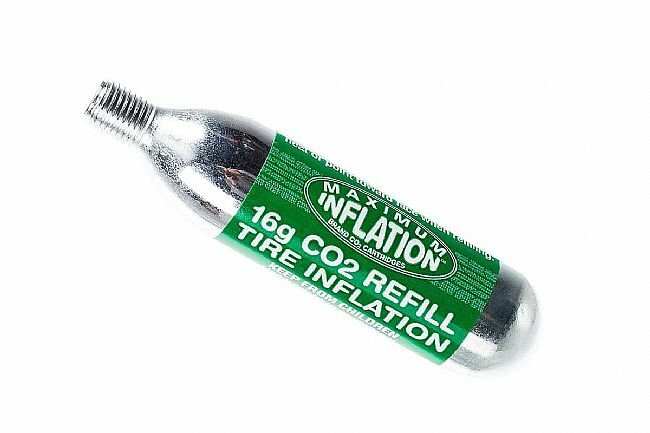 Even better is that Biketiresdirect has threaded and threadless options to work with all inflators. I see no point in paying $3 or more for one name brand cartridge. It's all just gas in a container. And these are recyclable too. Extra cool! Worked on all the threaded inflaters I have. 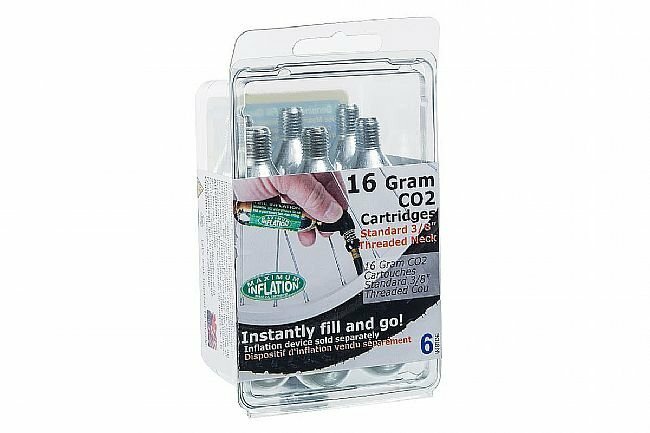 It's a good CO2 cartridge at a good price, especially when it's the deal of the day. These are cheaper than the rest and work great. I have not found these cheaper anywhere else, not even close. So they don't have a sticker on the outside making the cartridge flashy, who cares? It's gonna stay in your repair kit until you're sitting on a dirty sidewalk or on the side of some dusty trail with your tire in your lap. They're a steal! One cartridge fills one tire, nice and simple. 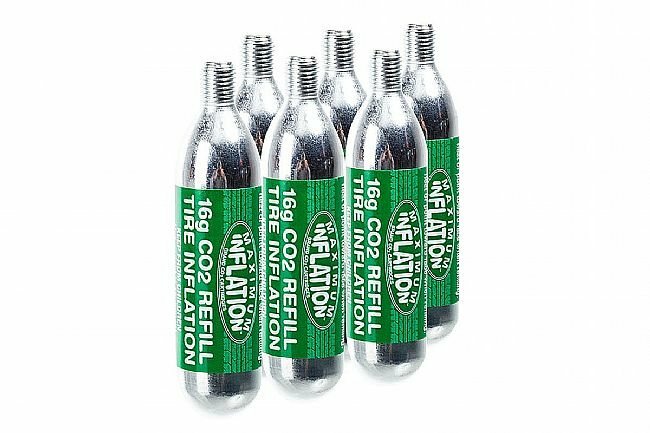 These are the only CO2 cartidges I buy! Great deal and work the same as the expensive name brands. I pumped my 700 X 23 tire up to at least 115, so I could keep riding after a flat. One issue with CO2 is that it depletes ozone, so I take one less ride in the car to compensate. Another issue is whether you can recycle the spent cartridges where you live. I like it. It is very easy to use. I don' t normally carry a pump with me so these are very easy to use. The down side is you better be good with them because if you run out you are done. Low cost, does it's job.